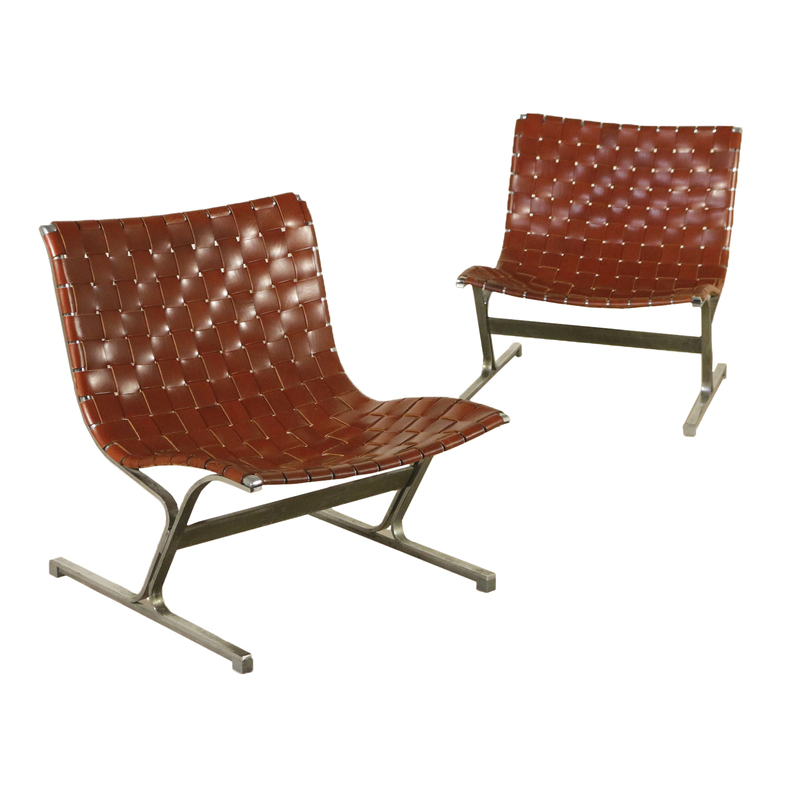 A pair of armchairs, steel structure, seat and back made of woven leather. Designed by Ross Littell (1924-2000) for ICF. Model: PLR 1. Manufactured in Vignate, Italy, 1960s-1970s.